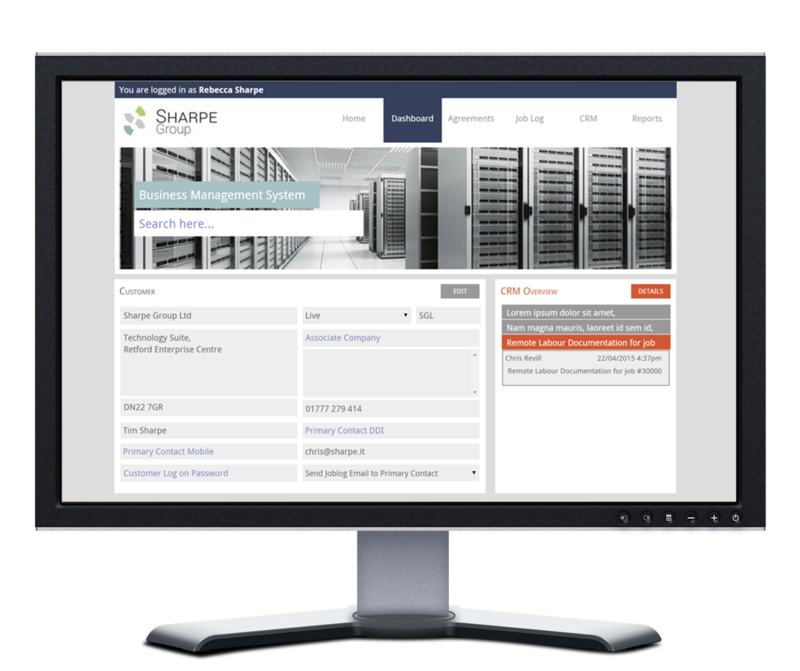 Sharpe Systems are the services and support arm of Sharpe Group offering support contracts. They asked us to produce a system that could manage their client's information and helpdesk jobs logged, control the contracts and CRM and notify staff of outstanding documents. We created a front end portal, accessible via the website to securely access all this information. 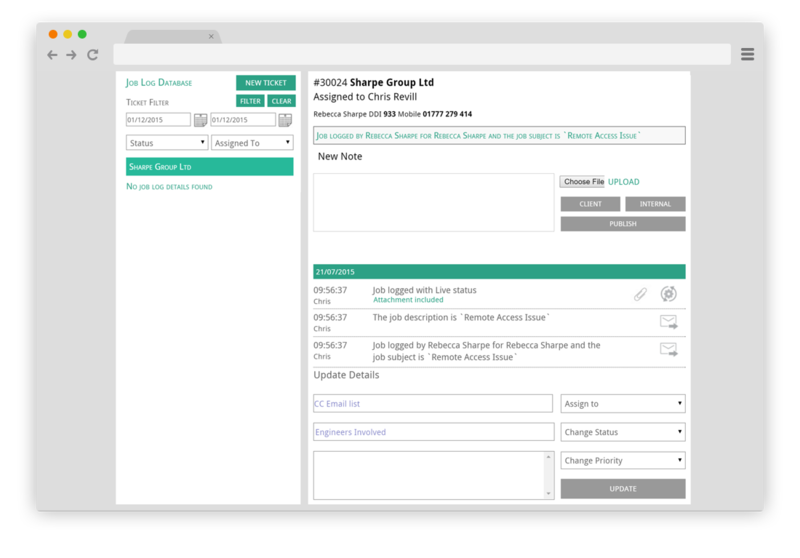 We created a company dashboard to easily view client’s activities and access information quickly with search functionality built in and CRM notes to keep up to date. 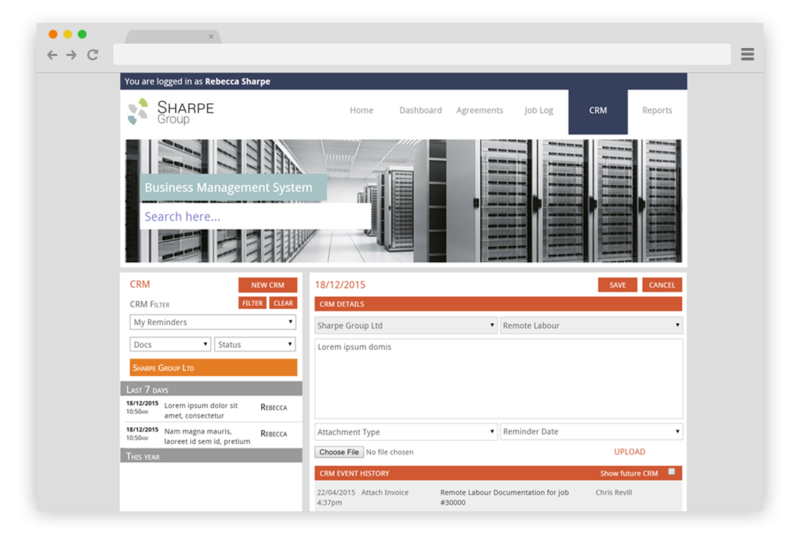 We created a bespoke job log to Sharpe Systems requirements. They needed a solution that would control the conversational style passing of key information while completing helpdesk jobs. Engineers can log a job from the dashboard or the customer is able to do so from their customer portal. The system then logs both emails out and in regarding job tickets, internal notes and system messages. Engineers can be assigned to a job and can clock in and out of that job, this is used to create time sheets and statistics for the customers. Additional engineers can be added or reassigned the job. The job cannot be closed before all relevant work information for each engineer has been keyed in, i.e. information about what was done on the job. This can then be used for future reference. We created a CRM page to manage customer relationships and quoted work. We built in work flow to this section for Sharpe Systems to control quotes and invoices. We used a conversational style as with the job log to create an easy to follow history of that job. The CRM section controls documents required for the type of job in the order they are required. A document cannot be uploaded before its predecessor is uploaded. Missing information or documents required for the CRM appear as a notification on the homepage to be able to quickly see what is outstanding and needs chasing.